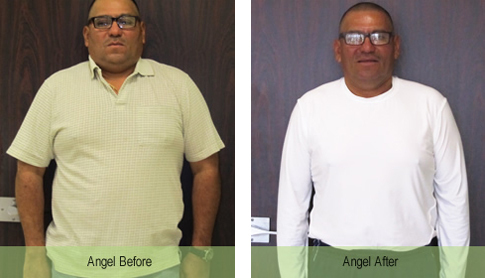 Angel first came to Delight Medical in December 2010 right in the midst of the holidays, a period that most people consider a bad time to start a diet. However, he has joined many other Delight Medical patients to prove this myth to be false –There is never a “bad” time to start losing weight! On that day, Dr. Kerendian promised him an end to both of those issues. In addition to discontinuing his blood pressure pills, he has maintained better than normal blood pressure under Dr. Kerendian’s care. His previously “borderline” cholesterol is now “great” cholesterol. He feels better than he has in many years, and he contributes that to the personalized medical care that he is getting from Dr. Kerendian and his staff.